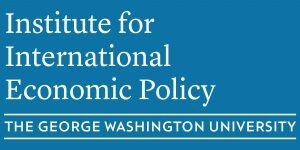 The WITA Intensive Trade Seminar (ITS) Spring Session provides an in-depth look into critical trade issues, and provides an overview of how the US Government formulates and enforces trade policy. Along with the Fall ITS, these sessions provide a unique opportunity for attendees to increase their professional knowledge base and broaden their network of contacts by learning the nuts and bolts of trade policy from career trade policymakers from the US Government and Capitol Hill, the private sector, NGO’s, and other players in the trade policy arena. Speakers including Stacy J. Ettinger, Partner at K&L Gates LLP and Hon. F. Scott Kieff, Commissioner at U.S. International Trade Commission, discussed what we might expect to see from the Trump Administration’s enforcement agenda, and the impact that could have on U.S. jobs, American consumers, and the global trading system. This session featuring James Gould, Principal at Ogilvy Government Relations, and Catherine Schultz, Vice President for Tax Policy at National Foreign Trade Council, provided an overview of the international tax regime, efforts to reform the tax treatment of foreign earnings and investment, and the implications of these policies on the competitiveness of US firms. This session highlighted new technologies and how trade policies can be adapted to 21st Century business. Speakers included Christine Bliss, President at Coalition of Services Industries, and Stephen Ezell, Vice President of Global Innovation Policy at The Information Technology & Innovation Foundation. This session looked at the future of trade in Asia, Europe, Africa, and the Americas. Speakers included David Brightling, Counsellor (Trade), Embassy of Australia; Rodrigo A. Contreras, Head of Economic Department / Trade Commissioner, Embassy of Chile; Damien Levie, Head of Section – Trade and Agriculture section, Delegation of the European Union to the United States of America; Katrin Kuhlmann, President and Founder, New Markets Lab.